An EU court has found that the Skype logo can be confused with Sky, in a ruling delivered earlier Tuesday, handing a victory to the pan-European pay TV broadcaster. 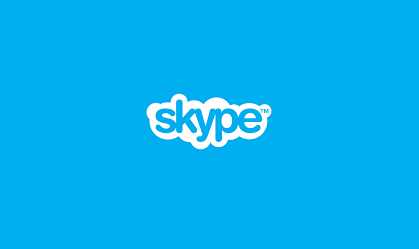 The EU General Court was delivering its verdict following complaint brought by Skype, which was refused a trademark by the EU Trade Mark and designs registry OHIM. The issue has resulted in a long-running legal dispute between the two organisations. "that the pronunciation of the vowel "y" is no shorter in the word "skype" than it is in the word "sky". In addition, the word "sky", part of the basic vocabulary of the English language, remains clearly identifiable in the word "skype." Also, the element "sky" in the word "skype" can perfectly well be identified by the relevant public, even if the remaining element "pe" has no specific meaning. The court also found that the actual logo that contains the word 'skype' is "surrounded by a jagged border in the shape of a cloud or a bubble, which would further increase the likelihood of the element "sky" being recognized within the word element 'skype', because clouds are to be found "in the sky" and thus may readily be associated with the word 'sky'." You have got to be kidding me? How can Sky complain when this logo has been in use for as long as I can remember? The EU court should have thrown this out given how long the Skype name and logo have been in use and Microsoft should point this out in their appeal. But only an idiot would confuse the logos. The EU has a great deal to answer for.